Crate training a puppy is not the inhumane thing that some make it to be. People who don’t like crates will say that they will never put their dog in a cage. Could they be right? Not really. One should not think of a crate in terms of humans who might feel caged up if placed in a similar cage. In the eyes of a dog, a crate is a sanctuary. It is more like an extension of their surroundings and a good shelter that makes them feel safe and sound. In a previous posts we talked about getting the safest and best puppy toys for your four-legged friend and discussed the benefits of crate training vs. other types of training (i.e. pads, newspaper, or puppy potty) for puppies and for older dogs alike. We also suggested a schedule for taking your puppy out to potty in order to maximize structure in the house and to minimize accidents. Crate training ensures that your dog does not have free reign of the entire house, destroying everything they can put their paws on. It also trains your dog for the least amount of bladder control issues. 2 Crate training puppy ideas: Where to place the crate? 7 Should you put your puppy in a crate while driving or traveling? By now, you should have a good crate for your new puppy. Pets can be healing. They can make one of the best gifts for people with arthritis and amazing, healing, and relaxing gifts for people who are under stress. Whether you offer a pet or a dog as a gift to someone, or willingly share your life with a pooch, you will need to crate train your puppy. Crate training puppies is a method that is somewhat misunderstood. Kennel training is perhaps the best way to give your puppy some structure. Once you have the crate ready and start using it, your dog will learn to love it. The crate is a good source of keeping order in the house when guests are being entertained, especially if they are uneasy around dogs. Your dog is not you and you are not your dog, so the crate is absolutely necessary for your puppy to retreat to after a long day of stimuli from children, people, noises, and just running around. This is your puppy’s haven as he or she will curl up and retreat for a short while or for the night. Here are some pro kennel training arguments that will make you realize that your puppy crate is more of a home for your puppy than a prison. (1) Your new dog will need it for structure. Crate training a dog is an absolute must, especially for owners who are conscious about the wellness of their four-legged friends. 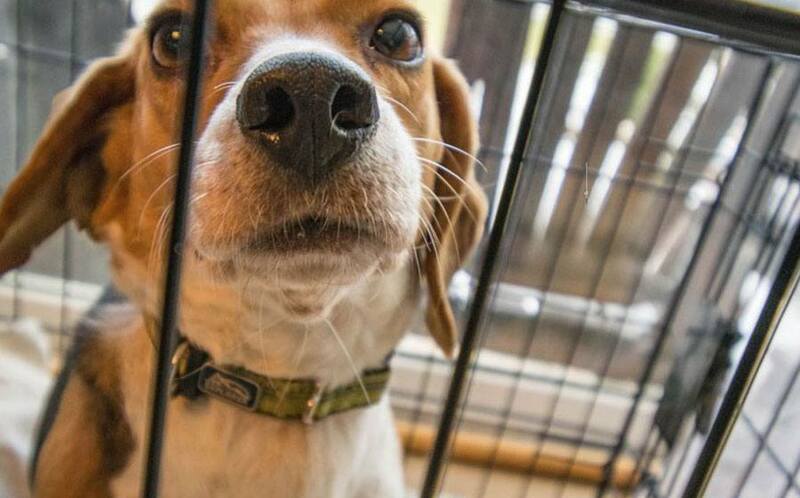 From your dog’s point of view, a crate is not a prison. It is more a safe environment. Years ago, before dogs were domesticated, they sought defined and closed areas for protection. The crate is that protection for your puppy that will always fall back on hereditary instinct. They would want to sleep in a cozy and safe environment (they will need a ton of sleep at the beginning) and will voluntarily go in for naps during the day when the crate door is open. They will rest and retreat at night in the crate and, if done humanely, will not process it as a prison like humans do. Only when humans abuse the crate and treat their dogs like objects with no feelings (i.e. expecting them to hold their bladder for over 10 hours) will the puppy feel a sense of disconnect with their surroundings. (2) For the protection of your puppy. You want to ensure that your puppy does not chew on things that they’re not supposed to have. (3) For the protection of your things and your home. A crate is a way to protect your things from being destroyed. This is especially true when you are unable to watch your puppy 24/7. Remember, your dog only needs a few seconds to destroy shoes, expensive vases, bedding, or anything that feels like a toy to them. READ MORE: Dog Safety 101: Tag, Chip, Puppy Collar and Leash & Harness. Crate training puppy ideas: Where to place the crate? Place the crate in a quiet, dry, and warm corner. A quiet corner in your kitchen or in your living room will do. You want to place the crate away from windy corridors and wind drafts. 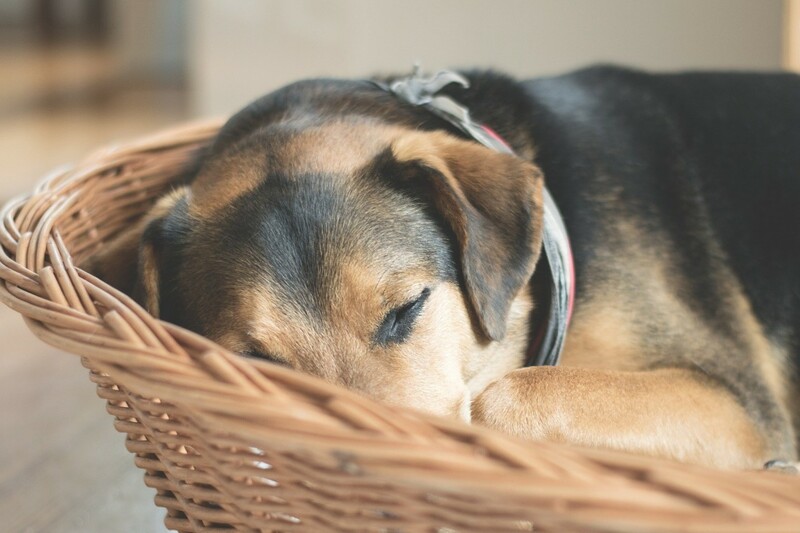 Just like a human bedroom is a place to rest and rejuvenate, a relaxing crate is where your pooch can go to after a tiring day of playing and running around. There are a lot of different ideas around how to crate train a dog and how long you should keep your dog in a crate. After all, you are confining them in a cage, albeit in a humane way and in a way that they need and love. 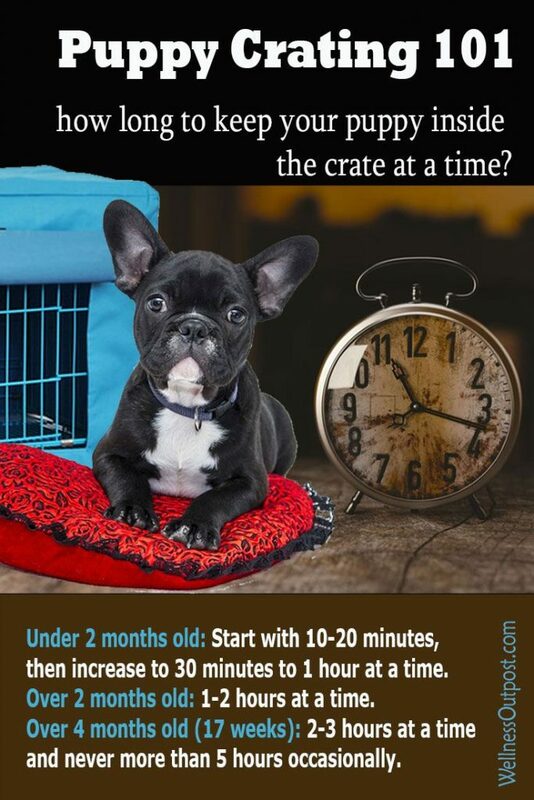 One of the common questions people ask is related to when to start crate training puppies (at what age). A puppy crate training schedule should be followed for a successful crate training experience. You want to have your puppy cage ready when your pooch come home and you can start as soon as your four-legged friend arrives home. As your puppy grows into a small dog he or she will start becoming a lot more comfortable with being inside the training crate. At the beginning of the training stage, puppies will start getting afraid after about 30 minutes of feeling confined. Make sure to ease their way into more time in the crate. Once they are able to stay more than 30 minutes at a time, you may be able to leave them there for longer periods of time (i.e. 1-2 hours at a time). Here’s a suggested rundown of exact times based on the age of your puppy. For starters, you want to crate your puppy for short period of times (10 or 20 minutes) while you are home at different times. This way, your puppy will not associate the crate with being left alone and abandonment. How to crate train a puppy at night? Simple. Crate training puppy at night has to take into consideration their young age. Too much confinement at night will make your puppy lose their bladder and too much crate time at one time during waking up hours can play tricks on your dog’s mind. It can create mental issues and you really don’t want that. You can start having them go in and out of the crate during the day with the door open to get them familiar with their new den. Start with 10-20 minutes inside the crate with the door closed at the beginning at one time. Anything over this time at the very beginning may create anxiety. You may not want to have the crate as their toilet because puppies are prone to getting infections, just like babies are. They will need a clean environment to improve their immune system as they get older and stronger. Take them out every 1 hour during the day to relieve themselves. If you live in a high rise, or taking them out is impossible, training pads or newspaper may do just fine. Place those away from the den and away from the puppy’s food and water. Potty training a puppy with a crate should be used in conjunction of you taking the puppy out of the crate and not necessarily using the crate as a toilet. Always give your young dog positive reinforcement and/or treats when they learn new things and perform them well. Increase the crate time as time goes by. Your puppy can sleep in the crate, but may need to be taken out to potty every 3 hours or so at night. This is at least at the beginning stages of your puppy’s life. For puppies that are over 2 months old, crating can progress to 1-2 hours of being inside the crate with the door closed at one time. Try to not exceed this 2 hour time frame so that you don’t create any bad psychology for your pup. Your puppy needs to exercise and should not be confined to a small space all day. You can take out your puppy to relieve themselves every 1-2 hours during the day. They can sleep in the crate at night, but you may need to take them out every 3-4 hours. Observe your puppy and make adjustments. Dogs can potentially be trained to be comfortable staying in the crate for about 5 hours at a time, but it’s not recommended that you keep them there that long. The most humane time frame should really be under 3 hours. Remember dogs need to go outside to pee every few hours, and cannot hold their bladder longer than a few hours at a time. Growing dogs will want to run around, play, and be exercised, so 5 hours of crating is still too long and not ideal, but if you must do it once in a while, make sure you don’t make a habit of it. RELATED: How To Potty Train A Puppy (Complete House Training Guide). Here’s a very informational video from YouTuber channel “Dogumentary TV”. The video features older dogs, but the message is still very good. Train your dog to go in the training crate 5-20 minutes before you leave. Get the puppy inside the crate about 5 to 20 minutes or so before you go (you don’t want them to associate you walking out the door with the crate). When you leave the house, just leave. Do not prolong the suffering and make any dramatic moves surrounding your departure. You want to make your return home time just as quiet as your departure. You don’t want to encourage dramatic behaviors with leaving or coming back. If you work, you must come home to take the puppy out in mid-day. Professionals who live alone may find the need to crate their puppy while they go to work. You cannot expect your puppy or your grown dog to be comfortable being crated for 8 to 10 hours per day. This is absolutely intolerable for the dog, not ideal, not to mention that their bladder cannot take it. You have to have humane empathy for your dog, and you must put yourself in their paws (shoes). Would you be able to hold your bladder for 8-10 hours? And the answer is absolutely NOT. You may have to leave them in the crate for over 5 hours in case of emergencies, but you must find a way to come back in mid-day to take your dog or your puppy out. If you can’t do it, hire someone to do it for you or ask a neighbor or a friend to help out. Dogs and puppies will always seek an enclosed environment. It is part of their instinct. It is never sure if the breeder of your puppy started crate training the dog prior to you receiving the pooch in your home. That’s why it is important to start crate training your puppy as soon as you have your new dog in your house. Puppies will learn to love their crate when it’s associated with good things such as food, sleep, toys, treats, and comfort. 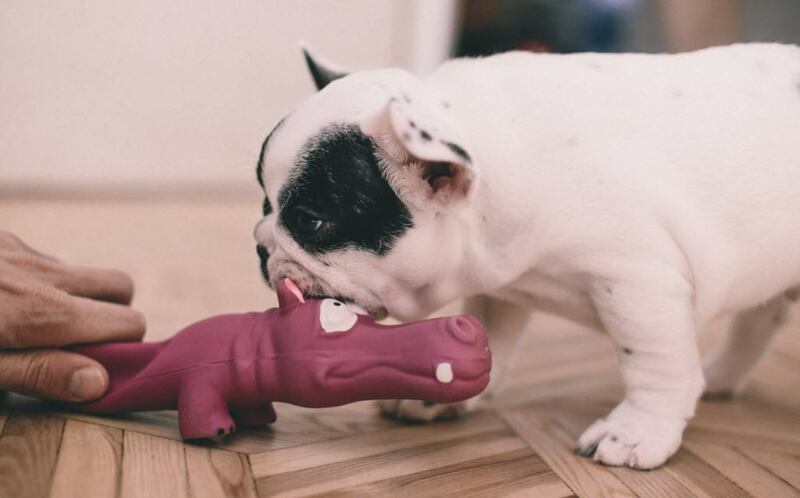 RELATED: The 10 Best Puppy Toys (Teething, Chewing, Snuggling & More). Tip #1. Add a comfy blanket, a bed, or a pillow inside the crate. Crate training a new puppy can be fun and rewarding for you and for your pooch. Make the crate a home by placing a soft blanket or something comfortable that they can lie on inside the crate. This material can be a pillow, a soft rug that is smooth and inviting. It can also be a bed specifically designed for dogs. You don’t want anything expensive or designer-made at the beginning, because the dog will probably try to explore it by chewing it. You just want to make sure that it’s sturdy and will not harm your dog. Meaning, this bedding should not present your dog with any choking or toxic opportunities. Some puppies may welcome the idea of having a blanket partially covering the kennel itself (on top). It may make them feel more secure. Try both methods (with a cover on top, but do not cover the whole crate, and without) and have a feel of how your puppy reacts. Tip #2. Add a toy or two inside the crate for teething and entertainment. Puppy crates do not have to be boring for your dog. Puppies are going to want to chew, so make sure to get a few of the puppy’s favorite chewing toys inside the crate. You can put other toys in there as well, like favorite squeaky toys, but make sure the toys are non-toxic and are designed for dogs. You want to make sure that your puppy does not swallow and choke on improvised toys that may hurt them. A Florida-based veterinarian recently shared with me that his practice performed 6 avocado pit removal operations on local dogs in 5 months! This is because the pits cannot be digested or cannot travel out of the dog (at least easily). The only way to take the pits out is by operating on the dog. Needless to say, this can be very painful for the dog and for your wallet. Therefore, always buy dog-approved toys. Read more about finding the best non-toxic puppy toys here. Tip #3. Use verbal reinforcement to encourage your pup. When your puppy goes inside the great also reward him or her with a treat while giving them their positive verbal reinforcement. Praise the puppy with positive words such as “good puppy”, “good girl”, or “good boy” when they go inside the crate. Tip #4. Use the crate door as a training tool. At first glance and when you’re starting to train your puppy to go inside the crate, leave the crate door open and do not close the door yet. This allows your puppy to go in and out as they please and explore their surroundings. They will get used to the idea of being inside, as well as develop some security around the crate. Start by sitting near the crate while the puppy is inside it. Close the door quietly while you sit next to the crate for about 5 minutes. Leave the room for another 5 minutes, and come back and sit near the crate for about 5 more minutes. Open the crate and let the puppy out. Be sure to stay calm and collected throughout this exercise. Do not excite your dog and do not give them mixed signals or treats while you are performing the task (not yet). Once this mission is accomplished, give your puppy a treat and a reinforcement phrase to praise the good behavior. Questions about crate training a puppy crying? That’s easy to answer… Do not encourage whining and crying. Only open the door when the puppy is quiet. You want to encourage quiet time and you want to dog to be Zen and calm. Tip #5. Entice your puppy with treats to get them to go inside the crate. If your puppy is very hesitant to go in the crate, toss a little treat inside the crate while giving them friendly verbal reinforcement. Make sure to toss that treat a little bit farther into the end of the crate so that they can get inside using their full body. As soon as your puppy goes inside the crate you want to make sure to give them positive feedback such as “good puppy”, “good girl”, or “good boy”. Tip #6. Teach your puppy a cue phrase for when they need to go in the crate. 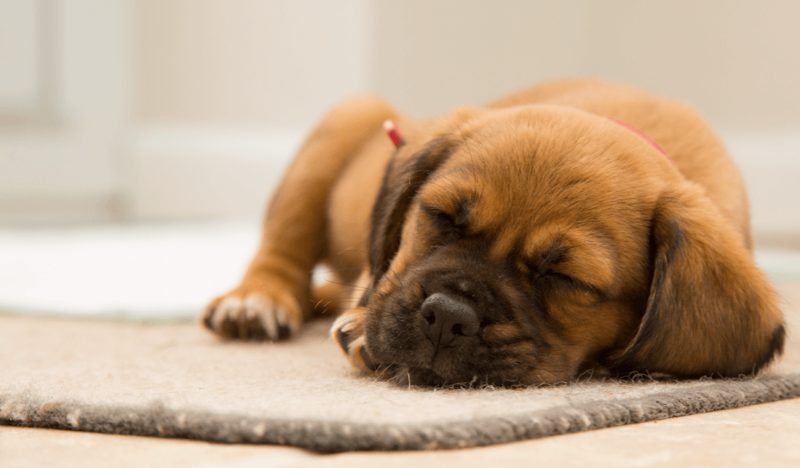 You can train your puppy to go in the kennel on a cue phrase such as “Time for a Lili nap”, or “Bella, kennel time”, or “Tucker, time to get in the crate” – whatever your dog’s name is. Your puppy will learn to go into their puppy kennel in no time. After all, you are (and should be) the alpha figure in the house and if you let your dog take over your home and your life, they will. Puppies should be watched outside of the crate during the day and can sleep in the crate at night. Tip #7. Train your puppy to stay longer periods of time inside the crate. Once your puppy is used to the kennel you can close the door for longer periods of time as you need to. Experiment with the tips above and always be Zen and collected for your dog. A puppy with structure in their life is a happy puppy. Tip #8. You may need to use food for stubborn puppies that refuse to go in. Puppy kennels may be resisted by new puppies. They may not want to go in and stay in. At the beginning of your crate training you may find it necessary that you use food as a hook. We don’t recommend that you permanently place the puppy’s food bowl inside the crate. You want to separate sleeping quarters from eating or potty quarters, plus it will make things less messy. 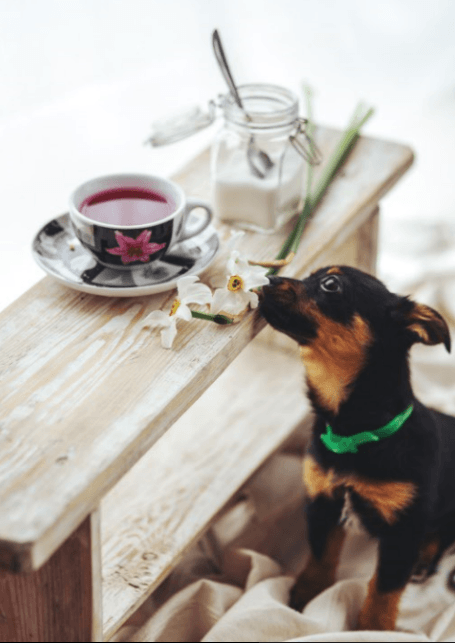 You can always start with treats to entice them go inside the kennel, but in the case of stubborn dogs, you may need to feed your puppy inside the crate a few times. After a while your puppy will go right into the crate without questions, and will wait for the food. If you choose to feed the puppy inside the crate you want to make sure the food is closer to the opening of the crate and you want to leave the door open. You can always use treats instead and place the food and the water outside of the crate. Giving your puppy treats instead of food to encourage them to go inside the crate is the preferred method. Tip #9. Do not reward the whining or crying of your puppy. Your puppy is going to try to manipulate you just like babies do. When this happens will try to cry and whine to get their way. Don’t allow it and don’t lose control of your home. Whining and crying should not be rewarded with food, with treats, or with getting puppies out of the crate Wait until they are quiet before doing any action. Wait until they stop their whining at least for a few seconds and then you can open the door. This allows the puppy to disassociate whining and crying with rewards. 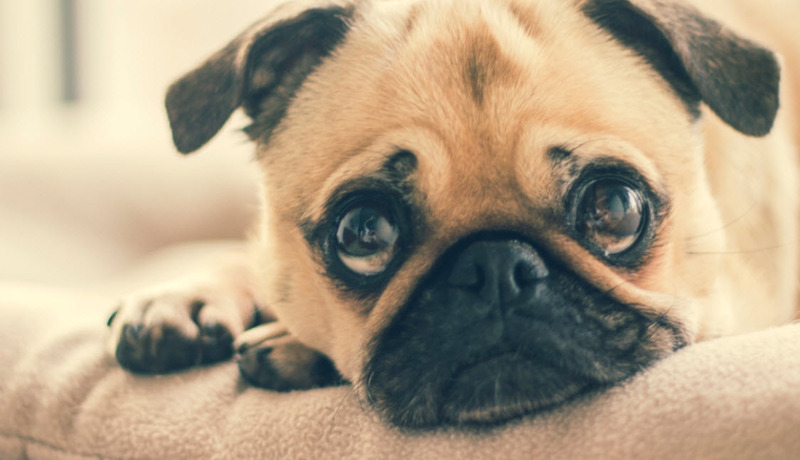 Your puppy will quickly realize that not whining and not being obnoxious is going to produce better results than what they thought they could get away with. READ MORE: Choosing The Best Dog Toys & Safe Dog Chew Toys (10 Rules). Tip #10. Never use the crate for punishment. Don’t use the crate for punishment. A crate should only be associated with positive things. Never ever use the crate to punish your puppy. Remember that the crate is intended for positive reinforcement and for training. Never ever yell at your dog and tell them to go to the crate as means to punish him or her. This will absolutely work against you and against everything that we ware teaching here. Your puppy will start resenting you and this may create bad psychology in the mind of your dog. You want to make sure that the crate is a safe place that your dog loves to go to. Should you put your puppy in a crate while driving or traveling? When it comes to going long distances with your puppy, a crate can be very useful in terms of your puppy’s ability to stay put and collected when things get chaotic. Only trained dogs should be able to move about freely in the car. In the car. 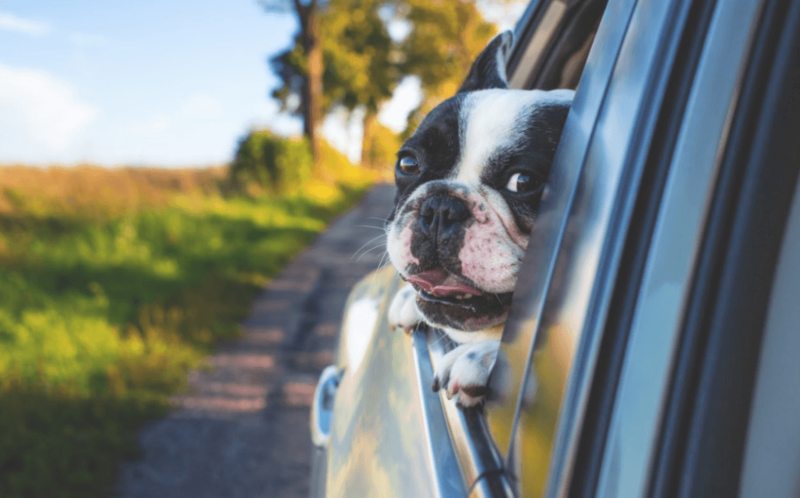 If you let your dog loose in your car while you drive around to the vet, to the store, or anywhere else, your dog may chew on things like your purse or the groceries that you just purchased. Forget about that burger you got from the drive through that you have not eaten yet. It would be necessary to place your pooch in a confined space while you’re driving. This reduces distraction and gets you and your puppy from point A to point B safely and unharmed. Once your puppy is well trained, and can be trusted in the car, your four-legged friend can accompany you without a crate. In a hotel or motel. If you need to check into a facility like a hotel room on your way to your destination, most likely your puppy needs to be in a crate or needs to at least be crate-trained. A lot of hotels and motels may require that the pooch be in a kennel. So, be prepared and call in ahead of time to double check. Eventually, your puppy will most likely grow out of the need to be in a crate. The crate is a training tool and should never be abused. It is a way to instill order in the puppy’s life. Puppies will learn to love and appreciate their crate as long as you train them appropriately. A crate should also never be used to punish your puppy for bad behavior. There are some courses you can take for dog training and eliminating bad behavior, and for improving the dog’s intelligence and obedience. If you’re wondering how to crate train an adult dog, the principles are going to be the same. The older dog may already have bad habits. You will need to not punish your dog as you are training them, and you will also need to be patient. It can be accomplished. Just stick with it and you will see results. Use treats as a way to lure your dog to better habits. A crate should also be temporary tool. Crate training may last for a few days to a few weeks until your dog gets accustomed to the rules around your household. Dog crates can be used for driving long distances and for travel, but should never be a way of life for your dog. Never ever keep your dog inside the crate 24/7. Your dog is a new member of your family and they will need to live in the house with you, and not inside the confined space at all time. Treat your dog humanely and give them the security and comfort that they need, and you will have an amazing gift in your home, full of life, joy, unconditional love, and loyalty. Train well and be well little puppy!